Property management firms have long got away with just having a standard informational website and survived on interaction with their clients via telephone and email. This will shortly no longer be enough to win them the business of knowledgeable landlords who are looking for maximum returns coupled with minimum effort. Some of the largest rental portals (including CoStar who own apartment.com) are in the process of acquiring many different small technology companies in order to start building and developing their own proprietary back-end software. What does this mean for independent property management companies? Put simply, it means that these large portals will be able to start offering all the services landlords require in one handy area on their website. This could eliminate the need for independent property managers since one website could handle both sides of any property deal or tenancy agreement. This is not to say that this is all doom and gloom for property management companies and their websites. In fact, the opposite is true. 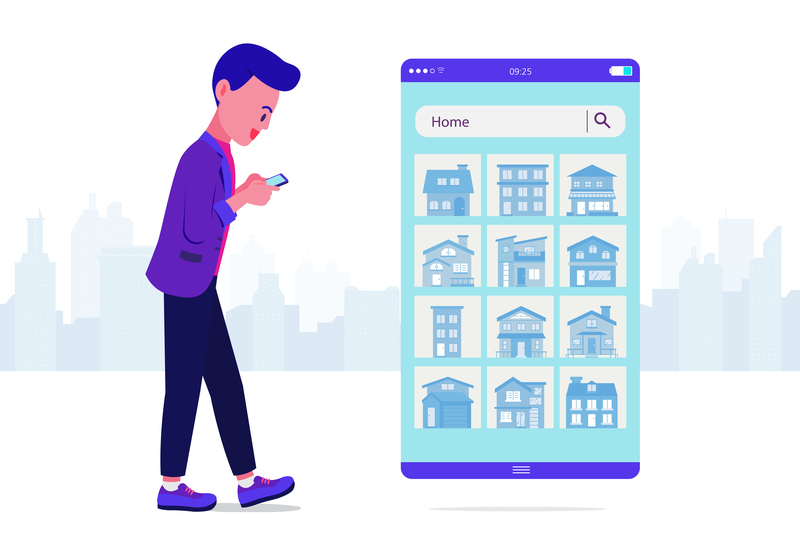 This presents independent companies with an opportunity to get ahead of their competition by having a comprehensive website which caters to landlords and gives a more personal service. What does an advanced property management website look like? Websites in the real estate sector can no longer be just “set and forget”. You need to deliver much more in order to wow your clients. Items like mobile responsiveness, social media compatibility and SSL security certificates are now must-haves. But it’s not just the front end of your website that requires serious work in order to compete with big international companies. You need a content management system (CMS) that can deliver on your specific needs. Generic CMS systems aren’t able to perform when they have several plugins retrofitted to make your website work for you, all of the extra code makes your website slow and glitchy. Finally, you need to keep your website up to date, there’s nothing worse than a landlord visiting your website to see the last time you posted a blog was over a year ago, about a law that is now no longer relevant. Independent property managers need to make their website a place to showcase their thought leadership in the industry and well as demonstrate their connection to the local community, proving they can be trusted to provide a great personal service. How Can an Independent Property Management Company Achieve All of This? It can seem like a lot of expensive work to achieve this outcome, building a custom website, hiring developers, programmers, SEO experts, and content writers etc. But this doesn’t have to be the case. Here at Zealder we can offer property management websites that deliver on your key objectives without the expense of hiring the talent to make the project a reality if you were doing it in-house. Zealder’s Managed Websites make it possible to you to have a top-performing and continuously improving website, meaning you get all the benefits of an in-house team but without the costs and associated headaches. After sitting down with your own personal account manager, we can have your new website up and running in as little as 3 weeks, which will provide all of the answers to your specific needs and challenges. But it doesn’t stop there, we will continually update and improve your site in the background using our specially developed Zealder CMS, allowing you to focus on growing your business. So if you feel like you are ready to talk to us about our Managed Website Services then don’t be afraid to get in touch and a member of our team will be able to answer any questions you may have.